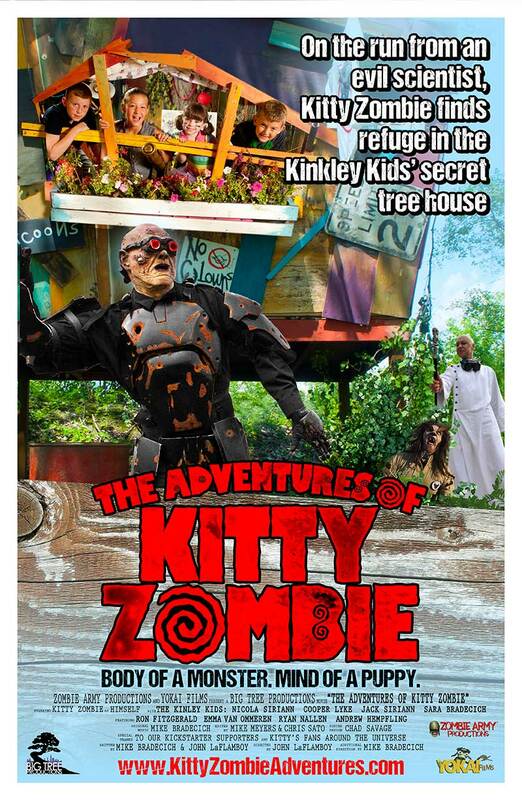 “The Adventures of Kitty Zombie” is a family-friendly short film that tells the story of how Kitty Zombie escapes the evil military scientist that created him and finds friendship and refuge with a group of neighborhood kids in their secret tree house. With the military on his trail and a brand new world in front of him, Kitty’s only chance at freedom lies in the hands of his new little friends. Evil scientists, monsters, tree houses, ninjas and Kitty Zombie! This special screening will also include a question and answer session with the cast, crew and Kitty Zombie himself! For additional details and information about The Adventures of Kitty Zombie, visit http://www.kittyzombieadventures.com.